This Broadway musical mystery features a dazzling musical score by the legendary team Kander and Ebb (Chicago, Cabaret) and nominated for 8 Tony Awards, including Best Musical, Best Book & Best Original Score. The chief sleuth, Lieutenant Frank Cioffi, with a secret affinity for musical theater, investigates the murder of a Broadway-bound theater company’s tremendously untalented star on opening night. Could the culprit be the hard-edged lady producer, one of the recently divorced songwriting team, the egomaniacal British director, or the seemingly sweet ingénue? 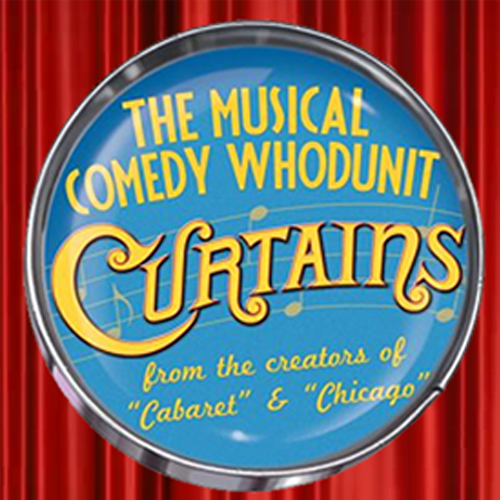 Curtains will have you on the edge of your seat – laughing!